Shrewsbury firefighters from Blue Watch, put on an evening of entertainment for ten youngsters aged between eight and 12, which included playing with water from fire hoses. 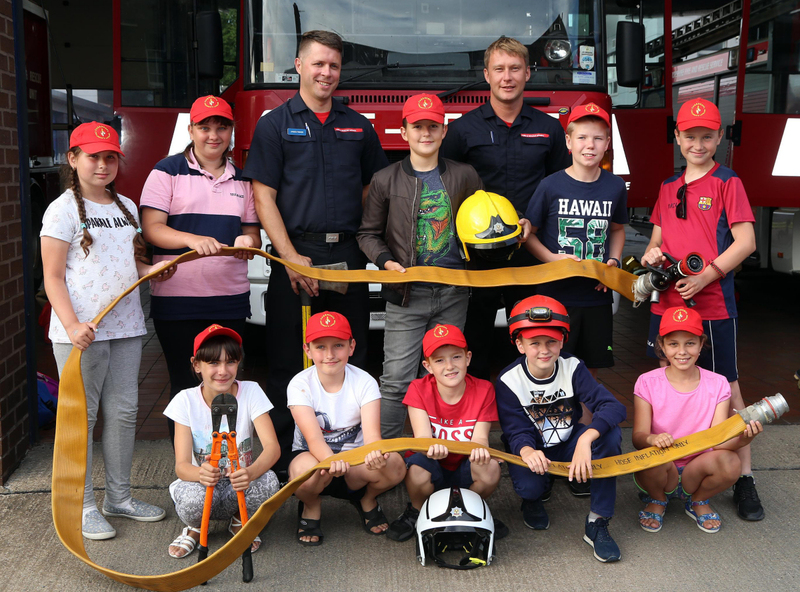 The eight boys and two girls were given a VIP tour of the fire station, shared dinner with the fire crew and were presented with goody bags and suitcases packed with gifts for their return journey. “The children all left with smiles on their faces which was nice to see,” said organiser Andy Davies, a firefighter who picked up the youngsters from Manchester airport when they arrived on July 14 for a month long visit. He thanked staff at the Shrewsbury recycling centre who had been on the lookout for good quality suitcases to keep for the children. He appealed for more families to host children for next summer which would allow extra youngsters to enjoy the respite visit and escape the radiation which they are still suffering from, 32 years after the catastrophic nuclear accident at a power plant. The children are due to fly home to Belarus this week. Their trip is organised by the Shropshire link of Chernobyl Children’s Life Line, a charity set up to help children suffering from the after effects of the April 1986 disaster. Children are being diagnosed with cancer more than 30 years on because their food and water is still contaminated by the nuclear fallout.